Longevity Diet Foods received the Global Innovation Award in the international competition World Dairy Innovation Awards 2016. A Greek startup, named Longevity Diet Foods, comes to break the myth that wants healthy food lacking in taste than those who have suffered human intervention and “hide” in their taste more calories. Seeing the growth potential in the growing market of Health & Wellnes, which in 2016 ended with revenues of one trillion dollars worldwide, the Greek company recently launched on the market a high protein authentic Greek strained yoghurt with 2% fat, fresh day milk from local farms and enriched through natural processes with grape extract rich in polyphenols. The infusion of polyphenols, which previously were used to create natural antioxidants pills, makes this yoghurt 6.5 times more antioxidant than any other conventional marketed. This was also the main reason why the product was awarded the Global Innovation Award in the international competition World Dairy Innovation Awards 2016. 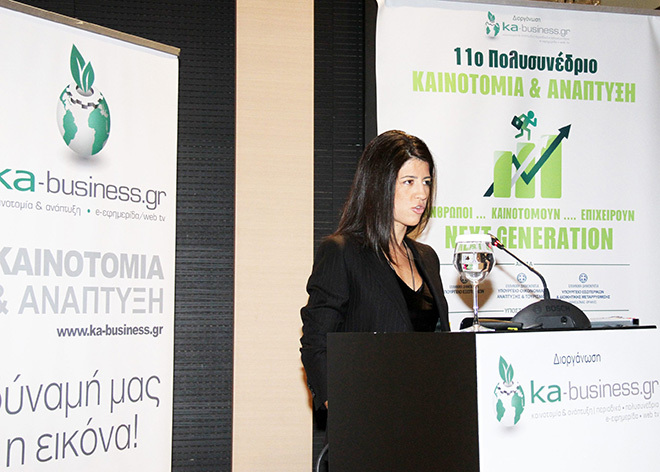 As mentioned in fortunegreece.com the Managing Director of the Longevity Diet Foods, Anna Chatziioannou, the company managed to win the awards before even placing its products on the market, while having to compete with multinational giants. “We had to compete very well-known multinational companies and the distinction was something I admittedly did not expect, although we knew that there was no such a product like YoguDiet” says Ms. Chatziioannou. Bio-Functional dairy products with the Greek Stamp. She adds that a survey had time to reach the final product, since, as she explains milk is a living organism when in contact with any substance generated chemical reaction. The price of yoghurt amounts in two euros and very soon will be a presence in a large supermarket chain, and the aim is to gradually acquire distribution channel and hospitals, since the products helps in speedy recovery of the patient. Apart from yoghurt, Greek-owned company has developed and omega-3 Cheese Dip, a spreadable cheese PDO mixed with Greek yogurt and olive paste, which is rich in vegan omega 3 fatty acids to help maintain normal cholesterol levels. The immediate plans of the company is the development of its network and abroad with first markets for 2018 are Cyprus, Germany, Norway and the United Arab Emirates. “We are already in discussions with major European dairy industry and we are one step before closing the deal. We believe much in synergies especially with professionals who are considered top in their field. ” The strategy to be followed abroad includes cooperation with existing dairies in which the company will grant permission to create its products. It is noted that the company’s products can be found in all stores that sell organic products in supermarkets Thanopoulos, Balaskas, Ipirotissa, Luxury Holmes Gyms and 5 star Hotels.